Landlords have a duty to maintain rental housing to at least the standards required by local housing codes. It’s also important to look for obvious hazards as properties age to avoid lawsuits for tenant injuries. A shaky stair railing can end up costing hundred of thousands of dollars if someone gets hurt. In fact, it could be problem even if a tenant gets hurt somewhere else on the property, because it shows that the landlord is not doing their job. 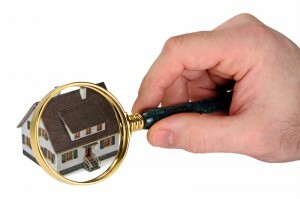 Inspect the outside and common areas of the property on a regular basis. Develop a point-by-point checklist of items to inspect. Date and initial the checklists to show that you are keeping an eye on things. Walk the walk. Consider the tenants’ everyday travels, and keep all stairs, walkways, parking areas and common areas safe. Mind the building codes. Make sure tenants aren’t violating fire codes by stacking items on balconies, hallways or near exits. You can ask your local building inspector or fire department for advice or a list of what they look for. Talk to your insurance agent–insurance companies often publish articles or offer brochures with tips. Scrutinize areas were children may get into mischief or hide. Listen for tenant complaints regarding repairs, including pests. Periodically inspect the trash areas for debris and rodents. Talk to local law enforcement about crime in your area or see if they participate in a Crime Free Multi Housing Program, which offers a risk assessment inspection of the rental property.